Before doing any sport it’s important to first prepare the body for the exertion to come. Stretches and warm-ups are all crucial to ensure that your muscles and joints are supple and prepared. This is especially true with skiing! 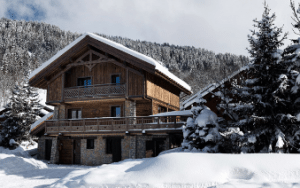 It’s advised to start doing some pre-ski fitness training approximately 12 weeks before you arrive here in Meribel so that you can truly make the most of your ski holiday. When preparing to start your day’s skiing (or snowboarding), your body will likely be cold and stationary before you hit the slopes. Going from that state into a high level of exertion without adequate preparation can potentially cause injury and hamper your performance. No one wants to cut their hotly-anticipated ski holiday short because of incurring a first-day injury! Here at Ski Basics we aim to go above and beyond the call of duty for you lovely lot, so here are five pre-ski exercises for you to try. Carrying out these pre-ski exercises as often as you can (every day if possible) up to 12 weeks before you arrive will ensure that your body is ready for what is to come. At the very least, this pre-ski exercise routine will definitely need to be done each morning before you start your day’s skiing here in Meribel. You’ll be a better (and happier) skier for it! Stand on one leg (gently support yourself on the wall so you don’t fall), then swing the first leg back and forth. Try and keep your upper body upright and still- try not to wobble! You should try and aim for 20-30 repetitions on each leg to get the muscles moving and the blood pumping. This pre-ski exercise will help to stretch your hamstrings, gluteal muscles and hip flexors which your legs will thank you for once you’re on the slopes. Step kick your buttocks. Aim for about 20-30 reps if possible (more if you’re feeling fit!). This will stretch yourquadriceps muscles (front of the thigh) and is a crucial pre-ski warm up move to help ensure that you don’t pull your quads or have any undue muscle aches the following day. Repeat the leg swings which you started this pre-ski warm up with, but this time swing your leg across the front of your body in a sideways motion (think of a clock’s pendulum!) Keep your torso still and face front. This pre-ski exercise will work to beautifully warm up the hip and gluteal area. Try for 20 reps on each leg in turn. It’s a common error to neglect your upper body in the morning’s warm up. Make sure you don’t fall into that trap; your arms will do almost as much of a work out as your legs when skiing with poles and riding the lifts all day. Try some shoulder shrugs, arm rotations and side leans to increase the blood flow to your torso and upper limbs, you’ll be glad you did. These bad boys are the ultimate ski fitness exercise. Squats work to strengthen the legs and bum, and are an easy way to mimic the skiing action and thigh burn at home before you even get to Meribel. They can also help to improve your coordination and balance. But don’t just squat up and down on the spot – create challenging squat combinations incorporating kicks, low pulses, 1-legged squats, calf raises, hops and jumps. Feel that burn! 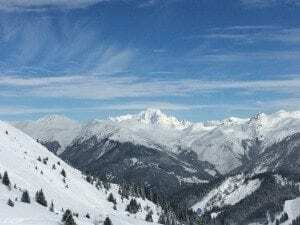 So once all of these pre-ski exercises have been accomplished and perfected, what else can you do to prepare for a perfect week’s skiing in Meribel? As with any exercise, it’s important that you stay hydrated so that you are able to mend weary muscles and not become fatigued. With all that tempting après-ski and top notch in-chalet catering it’s all too easy to enjoy a vin chaud or cold beer throughout the day, but remember to re-hydrate with water too so that hydration is maintained. At altitude, the air is dry and you’ll work up quite a sweat (even on the coldest days) so consuming lots of lovely hydrating water and sports drinks will be your saving grace. Last but not least- listen to your body! You might be having the ultimate ski day tearing up fresh powder, but if you feel tired it’s important that you take a break. 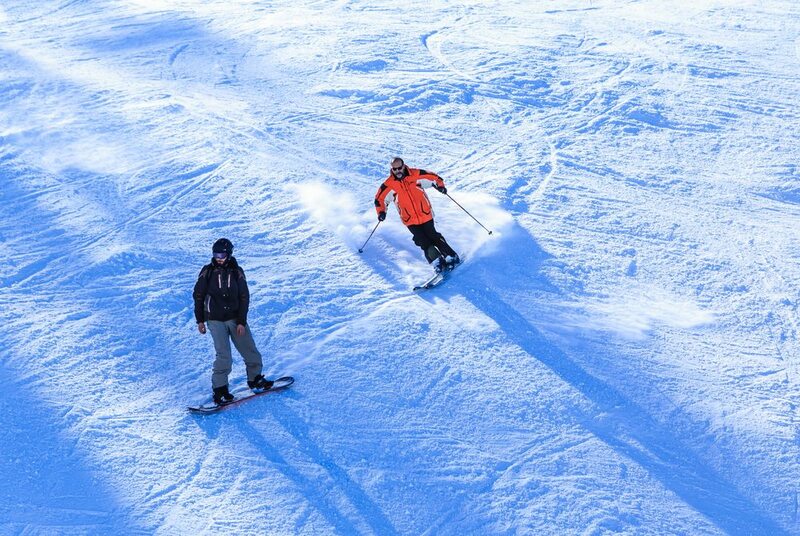 Fatigue is the biggest reason that injuries occur on the pistes and we hear of people pushing through and ignoring the message their body is telling them, only to incur injuries which put a halt on their fun. Hopefully with a combination of good preparation, lots of pre-ski warm up exercises and keeping hydrated and rested will hold you in good stead to enjoy your best ski holiday ever. We’ll see you on the slopes (fully limbered up of course)!